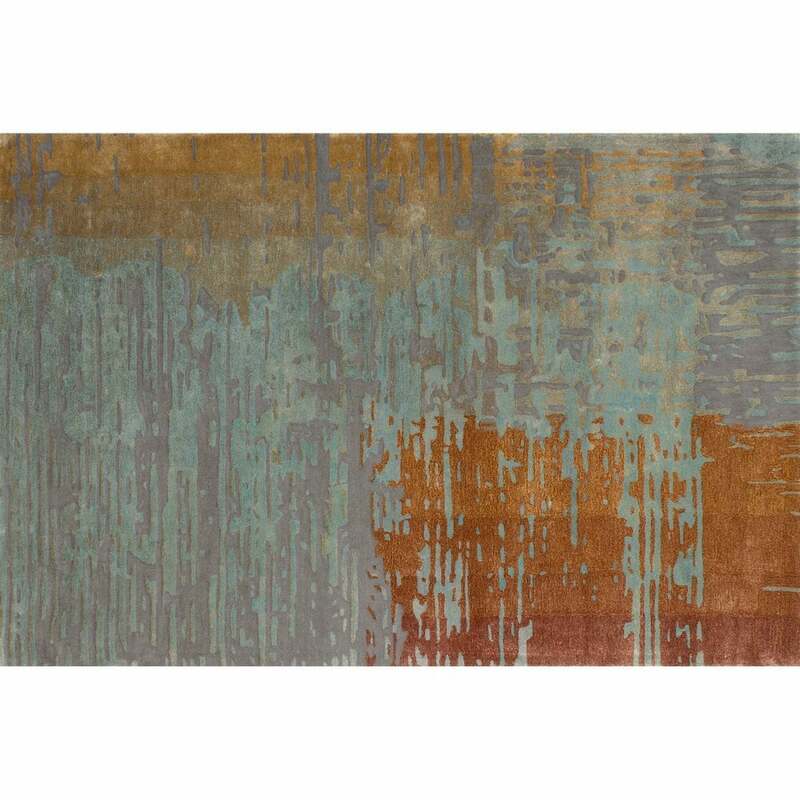 The Kay Rug by Serge Lesage has a luxe design made up of contrasting hues and tones. Highlights of powder blue, ochre and umber threads enhance and lift the classic grey undertones. The luminescent design has a textural depth that reveals layers of colour piece by piece. Hand-tufted using the finest New Zealand wool, Kay combines both style and comfort. The retro colours lend themselves well to 70’s inspired interiors and graphic patterns. Pair with mid-century modern pieces and curved designs for an eclectic look that exudes vintage sophistication. Bespoke sizes available on request.